Hand is same as picture. 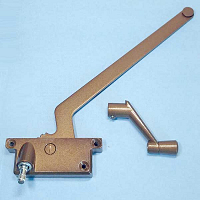 Color Bronze Handle included with the sill mounted casement operator. 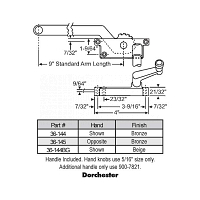 Hand knobs use 5-16" size only. 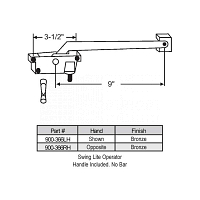 Additional handle only use 900-7821. Hand is opposite of picture. Handle included. Hand knobs use 5-16" size only. 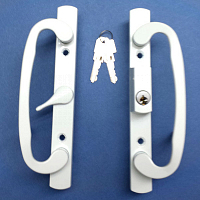 Additional handle only use 900-7821.